FEMA maps used to assess flood risk created may have failed to accurately reflect the risk to Houston, Texas suburbs in the event of major storms. An analysis of flood claims in several southeast Houston suburbs from 1999-2009 found that the Federal Emergency Management Agency’s 100-year flood plain maps—the tool that US officials use to determine both flood risk and insurance premiums—failed to capture 75 percent of flood damages from five serious floods, none of which reached the threshold of a 100-year event. 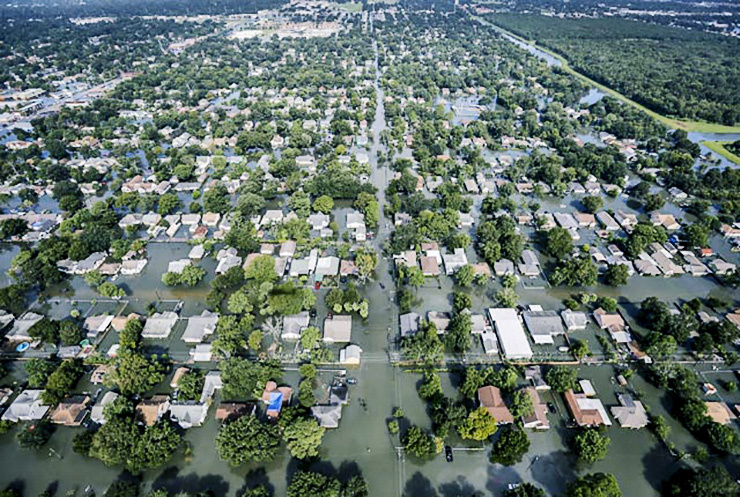 The research by hydrologists and land-use experts appeared in the journal Natural Hazards Review just days before Hurricane/Tropical Storm Harvey inundated the Houston region and caused some of the most catastrophic flooding in US history. 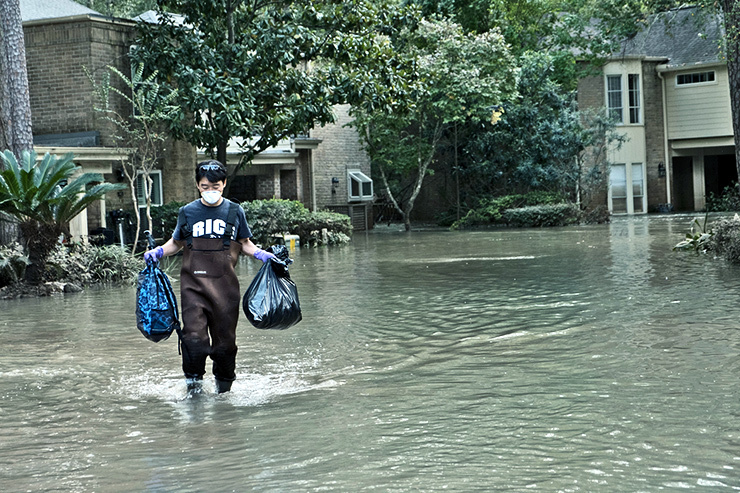 “The takeaway from this study, which was borne out in Harvey, is that many losses occur in areas outside FEMA’s 100-year flood plain,” says study coauthor Antonia Sebastian, a research associate at Rice University’s Severe Storm Prediction, Education and Evacuation from Disasters (SSPEED) Center and a postdoctoral researcher at Delft University of Technology in the Netherlands. In the new study, Blessing, Sebastian, and coauthor Sam Brody, a professor of marine sciences at Texas A&M-Galveston, director of the Center for Texas Beaches and Shores, and a SSPEED Center investigator, examined the Armand Bayou watershed in southeast Harris County. Armand Bayou’s 60-square-mile watershed includes portions of Houston, Pasadena, Deer Park, La Porte, and Taylor Lake Village, as well as unincorporated portions of Harris County. Five major rain events occurred in the study area between 1999-2009. They were Hurricane Ike (2008), Tropical Storms Erin (2007) and Allison (2001), and two rainstorms that caused flooding in 2006 and 2009. Hydrologists often characterize rain events and flooding events with a statistic known as “return interval.” A 100-year flood has a 100-year return interval, but Blessing says that does not mean such a storm is only expected to occur every 100 years. Rather, it means there is a 1-in-100 chance, or a 1 percent chance, that the event will occur in any given year. Thus, a 50-year event would have a 2 percent chance of occurring each year, a 10-year event would have a 10 percent chance, and so on. Brody says one problem with FEMA’s 100-year flood plain maps is that they assume that flooding will only take place in one dimension, that is, either downstream or upstream, and not perpendicular to the channel. Another issue with FEMA’s maps is their lack of granularity. Brody and Blessing says the type of soil (such as clay versus sand) and the way land is used (such as a concrete parking lot or a school playground) have significant impacts on flooding, and FEMA’s models often use a single classification for entire neighborhoods or groups of neighborhoods. In so doing, they miss out on small-scale features that can significantly affect flooding. Sebastian says focusing on 100-year events is also problematic because short, intense rainfall events that don’t meet the 100-year threshold can still cause serious flooding. In several other studies, including a number that examined flooding in the Clear Creek watershed, Blessing, Brody, Sebastian, and SSPEED colleagues have shown that other approaches, like distributed hydrologic modeling and probabilistic flood plain mapping, can be far more predictive of flood damages and flood risk. The National Science Foundation supported the research. The findings and opinions reported are those of the authors and are not necessarily endorsed by the funding organizations or those who provided assistance with various aspects of the study.